I have the perfect dish for you. It’s a snack. It’s a meal. It’s party food. It’s a multi-tasking mom’s dream come true! You can make it all or part of it ahead of time, too, so it’s a great freezer recipes! 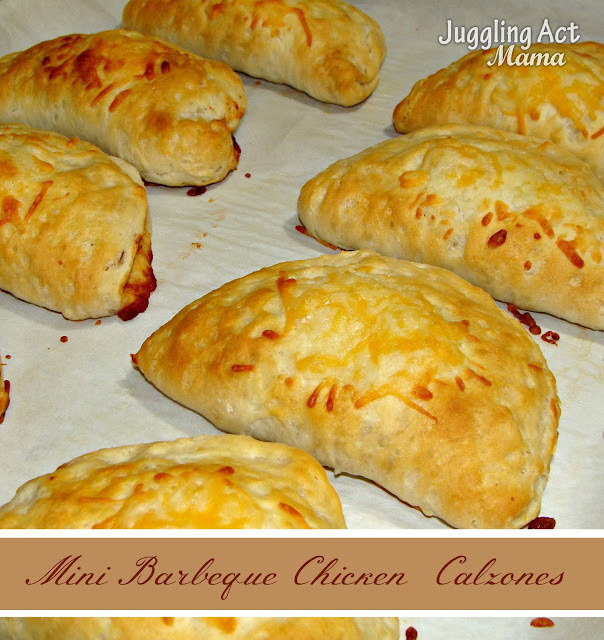 Seriously, it’s my new favorite recipe, and the Juggling Act bunch is pretty fond of it, too! I won a copy of the Six Sisters Stuff cookbook and this recipe is inspired by their recipe. They have so many great recipes in that book! Add the chicken to the crckpot (can be thawed or frozen) and cook for 6-8 hours. Turn off the crockpot. Scoop the chicken out of the crockpot and chop or shred the chicken. Return the chicken to the crockpot and mix with the sauce. Set aside. You can do this in large batches and freeze meal-sized portions. 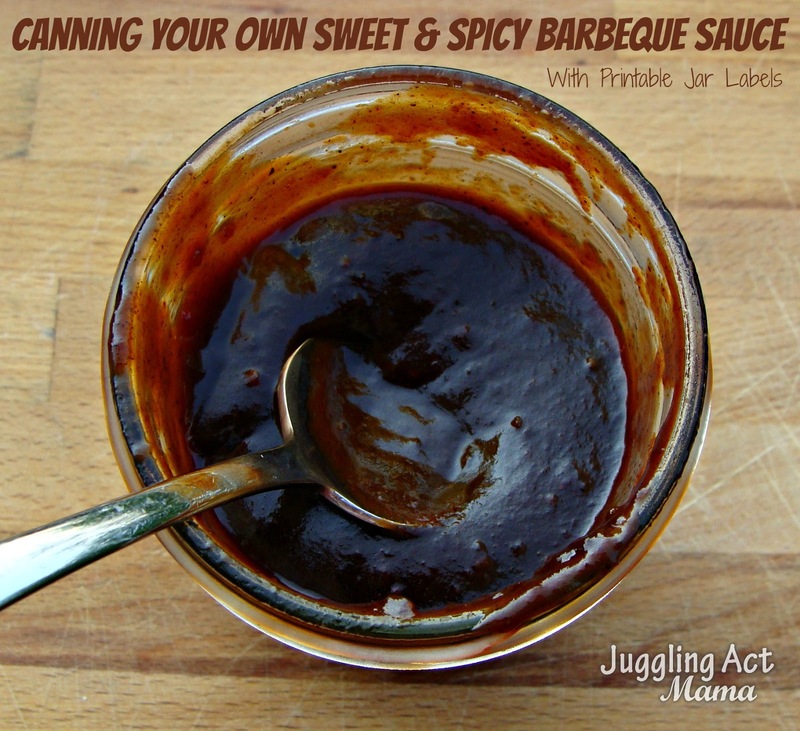 This is great for pulled chicken sandwiches, even BBQ chicken tacos! On the day you want to serve the chicken, just pop it right from the freezer into the crockpot with a half cup of water or chicken stock and let it thaw and cook all day. 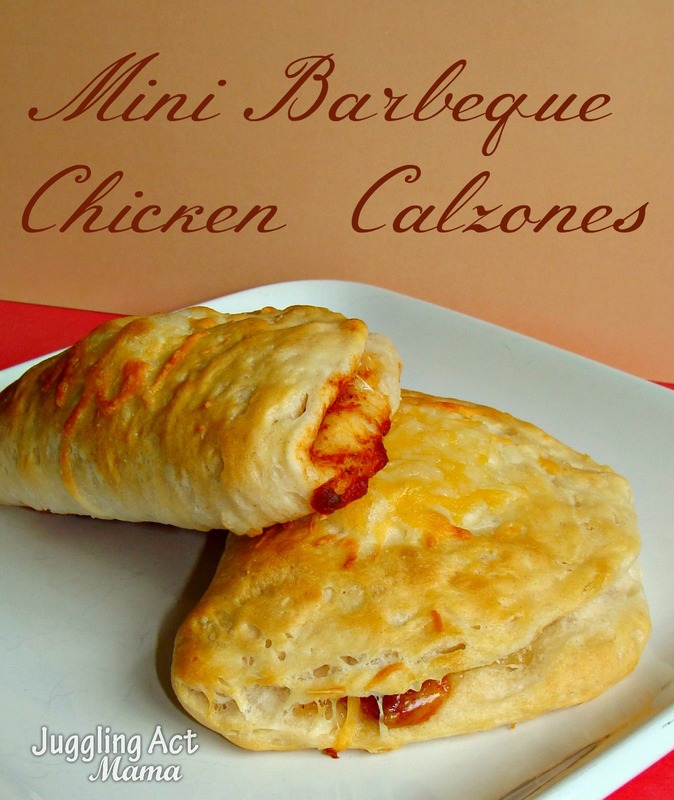 To make the mini calzones, take the refrigerated biscuits out of the fridge, and preheat the oven to 400-degrees. 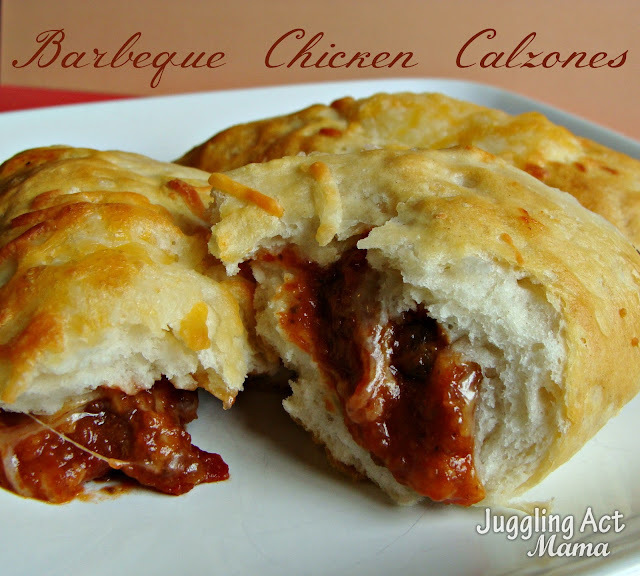 I like to use the ‘Texas style’ biscuits – it just seems appropriate for barbeque chicken to me! Line a baking sheet with parchment paper and flatten out the biscuits. Spoon about two tablespoons of the chicken mixture onto the biscuit and sprinkle with cheese – make sure you say away from the edge so you can seal it. Fold the dough over to make a little half-moon shaped pouch and pinch the edges to seal. Sprinkle the tops with a bit more of the shredded cheese. At this point, you can flash freeze them for two hours, then wrap them in parchment paper. Seal in a freezer bag. To cook, thaw overnight and then you’re good to go as if you’d just made them. Bake for 12-14 minutes, or until golden brown – these smell so heavenly when they’re baking. Trust me when I say that you’ll have hungry mouths clamoring for these in no time! Serve with extra barbecue sauce for dipping. Ta-da! That’s it. They are so good, friends, you’ll want to make a whole bunch. And invite me over, k? I assume this is cooked on low?